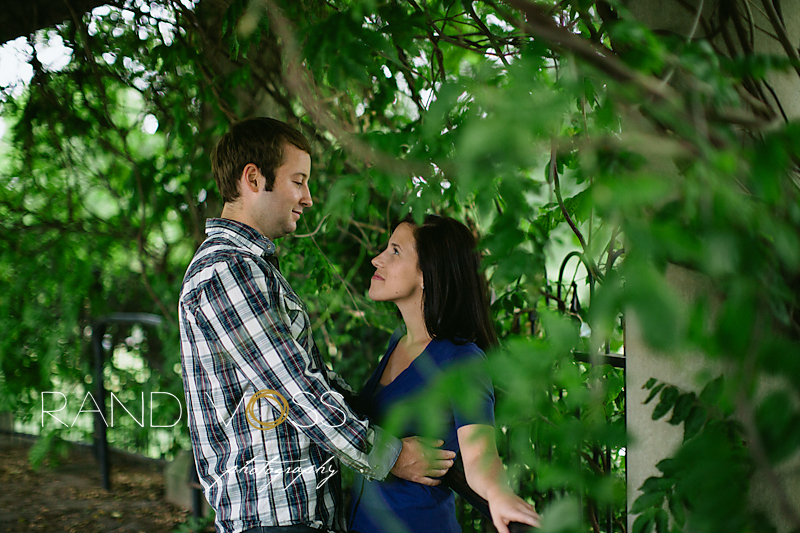 Maria and Nathan are busy planning their wedding for this fall in Pittsburgh at Phipps Conservatory. November is an unpredictable time for weather in Pittsburgh–it could be 65F and sunny or it could be snowing. 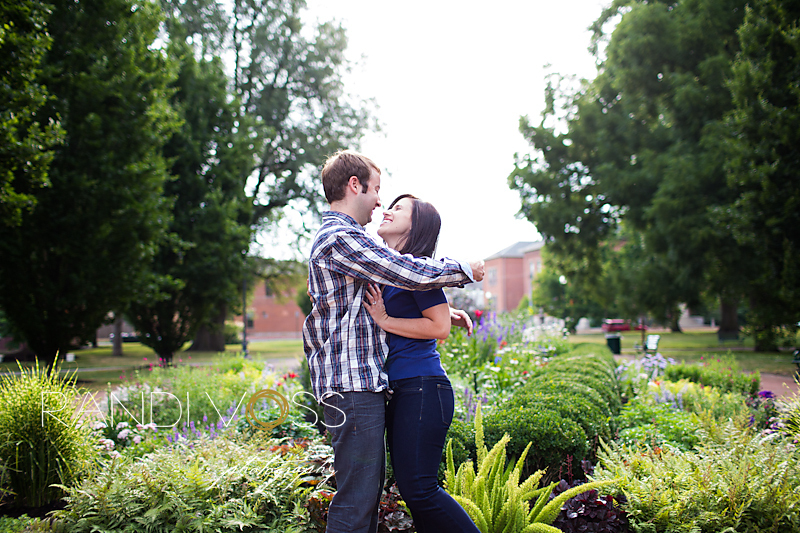 But for their engagement shoot, we were more concerned about roving thunderstorms and getting too hot. 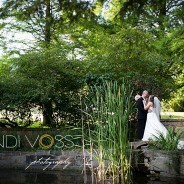 Maria and Nathan have made their home in Columbus, Ohio but are returning to Pittsburgh for their wedding. 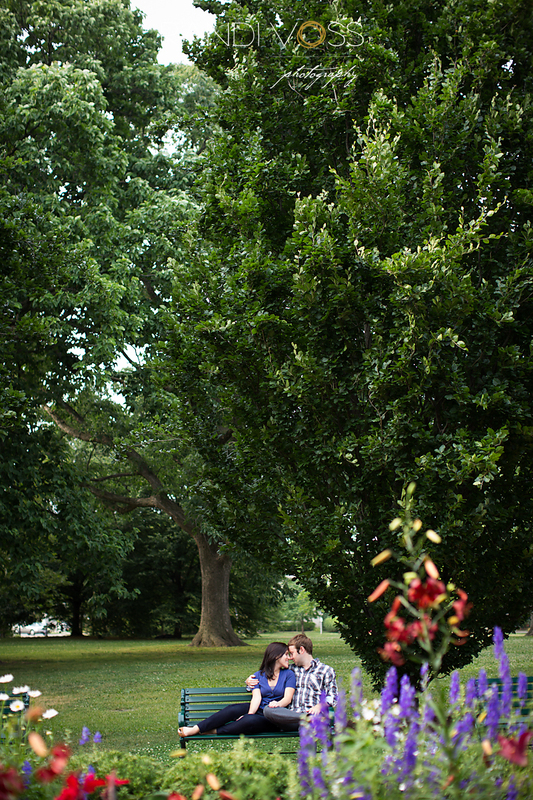 Please enjoy some of my favorite photos from their engagement shoot last week. I LOOOOOOOOOOVE the black and white puddle reflection…LOOOOOOOVE!! Randi, the shot of them in the middle of the street with the houses in the back is a jaw dropper. What a beautiful image and I LOVE that you made it bigger for the blog post to showcase every single detail in it that works perfectly. Such a colorful and beautiful session, I want to come with you and help one of these days to learn from a pro! All of the shots are beautiful but I too am captivated by the Puddle reflection and colorful one with the houses in the background… is it German Village?